Pilates Nest Mama Challenge // Day #3 - Lower Body Tone — Pilates Nest move well. live well. Welcome to Day 3 of Pilates Nest Mama Challenge! If you missed a workout, don't feel guilty, be tough on yourself, or feel like you're behind. Today is a brand new day, a fresh start. And no, you're not behind. Here at the PILATES NEST, we do things a little different and ditch the "all or nothing" mentality. We strive to let go of stories and self-talks that do not serve us. 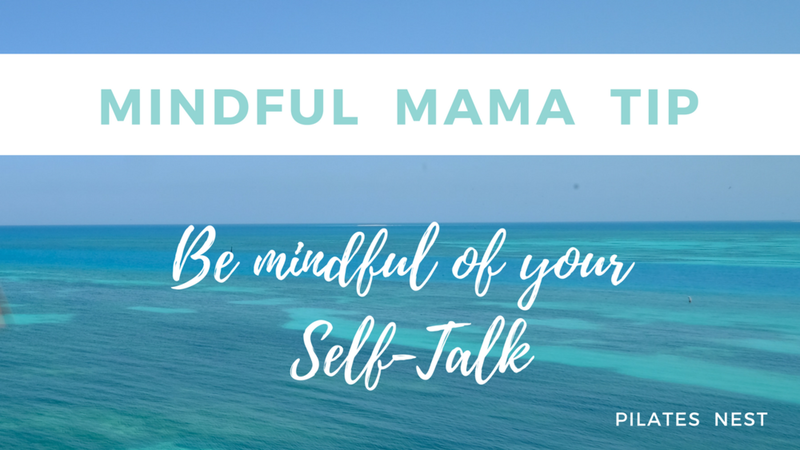 We focus our mind on thoughts that serve us in a positive way which ties into today's Mindful Mama tip, be mindful of your self-talk. Even if you haven’t started. If you haven't been able to start and want help, post in our private Facebook group. Let our community help you troubleshoot how to make this work for you! Ready to take more action? Now lets get back on the Pilates trail with today's Pilates class. In just 10 minutes, you'll be strengthening and improving the flexibility of the your lower body which includes the legs, glutes, and pelvic floor muscles with today's Lower Body Tone Pilates class. Commit to just 10 minutes today to take care of yourself with the love and care you need and deserve, friend. You will feel amazing. After you complete today's Pilates workout, remember to let us know how it went in our private Facebook Group or Facebook Page under Day 3 Challenge post and cheer for other Mamas in this journey with you. Keep moving forward, lovely! You can do this! P.S. - Not signed up for the challenge yet but want to wake up to a fresh, new, rejuvenating 10 minutes Pilates workout in your inbox each day of the challenge to start your morning? Click here to get setup. JOIN the challenge before it's over! PS - Be sure to share your experience/photo/video each day of the challenge on Facebook or Instagram to quality for our GRAND PRIZE GIVEaWAY of 1-Year Membership to the Pilates Nest TRIBE online program ($197 value). Use the hashtag #pilatesnestchallenge to be entered. The more you post, the more you increase your chances of winning!